Stevie Johnson works in the Evidence and Service Impact Team at RNIB. 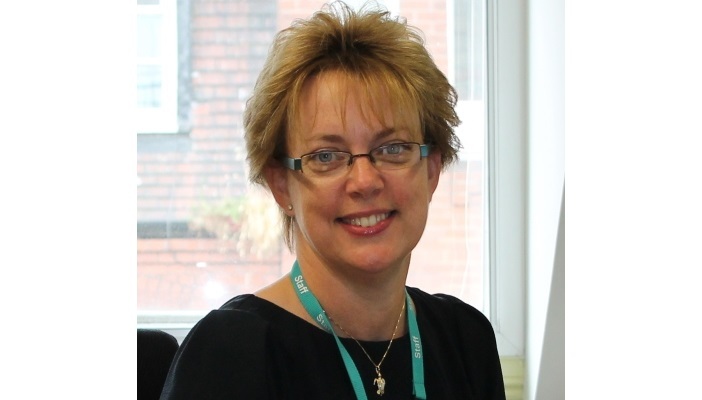 Her role is to act as the Clinical Lead for ECLO's and RNIB’s early intervention work, ensuring support services are good quality and that workers maintain professional development, practice and standards. Stevie worked as an Orthoptist and Low Vision Therapist in the NHS for 17 years, before joining RNIB nearly 10 years ago.Three times a year, she and colleague Donna Ledwidge, arrange a one-day seminar which focuses on supporting ECLO’s and others in their roles. What is involved in the ECLO's and Early Intervention Support Staff seminars? The seminars offer for anyone working in early intervention support roles within eye clinic settings, including ECLO’s, early intervention support workers and volunteers the opportunity to meet with like-minded peers across the UK and network. When was the last seminar? I recently ran a seminar in Leeds on Wednesday 19th October. There were 55 attendees from 11 different organisations including ECLO’s employed by NHS hospitals, several local sight loss charities, RNIB, Action for Blind People, Blind Children UK, and Guide Dogs. We always have guest speakers and this time, we heard from consultant Ophthalmologist Rachel Pilling who spoke about supporting children with vision impairment, and RNIB’s Sarah Holton, from the Children and Young People's team who spoke about the resources available to support children from birth to age 25 and their families. Other topics covered included RNIB’s Newsagent service which allows newspapers, magazines and periodicals to be produced in accessible formats and the Sight Loss Counselling Team who offer a free over the phone counselling service. I also led a peer review session, and a discussion about the various ECLO communication channels. I have been involved in running the seminars since I joined RNIB nearly 10 years ago – although there were only a handful of ECLO's then! It has always been important to bring ECLO's from all organisations together, for peer support, networking and continuing professional development. As the number of ECLO's has increased, the seminars have become really important as a way of meeting up, sharing good practice, and keeping up with developments in treatments, services and what is going in the ECLO and sight loss sector in general. For the last few years we have run three seminars per year, in Birmingham, London and Leeds, and the numbers of attendees continues to rise which is fantastic. Were there any examples of best practice shared? Yes, participants shared best practice around certification and registration, becoming a part of the Eye Department team, and also how to talk to patients when driving becomes an issue. People can contribute, bounce ideas off each other and learn in a comfortable space. Did the peer review session draw out any common challenges happening across the sector? In the peer review session this time, we discussed the UK Vision Strategy and how important it is for ECLO's to ensure that their voice is heard. The UK Vision Strategy is reviewing how the organisation operates in the future and it’s really important that ECLO's and Early Intervention Support Staff voices are heard in this important consultation. After all, they are the ones hearing about what the key issues are from people affected by sight loss every single day. We also discussed how ECLO's can be advocates for their patients around certification and registration, and shared examples of this in practice. What do you enjoy about putting the seminars on? I really enjoy running the seminars. They are a great opportunity for me to understand what the key issues are for ECLO's in the eye departments on a day to day basis. Even though I’ve been doing the seminars for nearly 10 years, I still I learn so much from the days, not just in terms of the presentations that we arrange on eye conditions, services and resources, but also from the examples of good practice, innovative ways of working and current issues we hear from others in the room. The social aspect is also a big part of the day. Meeting up with people who have attended seminars or training events in the past, hearing about their jobs, seeing new ECLO's gain confidence in their roles, and sharing how they are having a real impact on the experiences of people with sight loss and their families. How can people get involved in future seminars? The next seminar will be in Birmingham in March 2017. We circulate information about these days via our Early Intervention and Support email network. We also put the dates of all seminars with details of how you can book a place on the ECLO training page.